The New York Times has a great read this morning on the Grant Wood exhibit at the Whitney Museum of American Art in New York. It is here. I wish I could see it. Ever since I was a child, we’ve had “The Midnight Ride of Paul Revere” print. It was in the den. 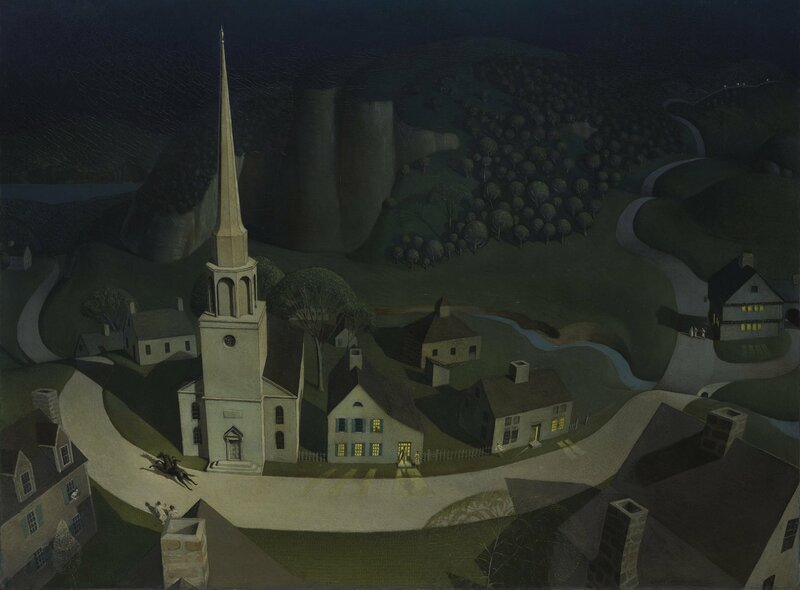 This painting fascinated me a child: the bird’s eye view of Paul Revere on his horse; the dramatic moonlight; the brightly lit houses and shadows, and so on. It still does. Now we have this painting in one of the bedrooms at our cabin in Lake Tahoe. A good, lasting memory.